Engineers have recognized the value of asphalt as a paving material for centuries. Asphalt is versatile, robust and economical. Despite its known value, certain myths about asphalt still circulate today — myths that we would like to dispel. Myth: Asphalt plants are a major source of air pollution. Fact: Early asphalt plants did produce a lot of smelly smoke — but during the same era, so did steel manufacturers, textile mills and many plants generating electricity for homes and businesses. Over the last few decades, however, the asphalt industry developed new techniques to reduce pollutants far below the standards set by the EPA. As a result, the EPA does not consider asphalt plants to contribute to pollution to any significant degree. Myth: Asphalt roads are becoming a thing of the past. Fact: Asphalt can be found on approximately 95 percent of America’s paved roads. Its widespread use is due to a combination of factors, which include cost as well as the speed of installation or repair. Myth: Concrete pavement is a one-time expense, but asphalt is not. Fact: Both asphalt and concrete pavements require periodic maintenance and repair to obtain the maximum life. Both pavements will need repairs over their service life, but repairs can be made to asphalt in less time and at less expense. Myth: Asphalt does not require a solid foundation for installation the way that concrete does. 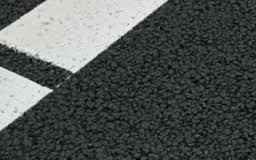 Fact: Proper installation of an asphalt surface is crucial to obtaining satisfactory results. Part of the installation involves establishing a level, well-compacted foundation. Just like concrete, asphalt installed on an uneven, poorly drained foundation can crack or crumble. For more than 30 years, Asphalt Pavement Solutions has been maintaining and repairing asphalt surfaces for clients throughout Pennsylvania, New Jersey and Delaware. We understand the importance of repairing surfaces before damages have the chance to worsen as well as the protection that sealcoating provides. If you would like to discuss your asphalt pavement needs, feel free to call us at 1-800-559-SEAL, 1-856-461-1710 or 1-856-544-3990. If you prefer, you can submit our online form to request a free quote.